Experience and rediscover some of the most iconic Warner Bros. movies ever made, with Part Three of the ultimate Iconic Moments film collection, available to buy now on Blu-ray™, DVD and Digital Download. To celebrate, we are giving two lucky readers the chance to win a bundle of some of the famous films on DVD/Blu-Ray™. Featuring classics from Blade Runner to Space Jam and Dr Zhivago to The NeverEnding Story, the films in the collection each feature an exclusive re-designed and numbered collectable sleeve. 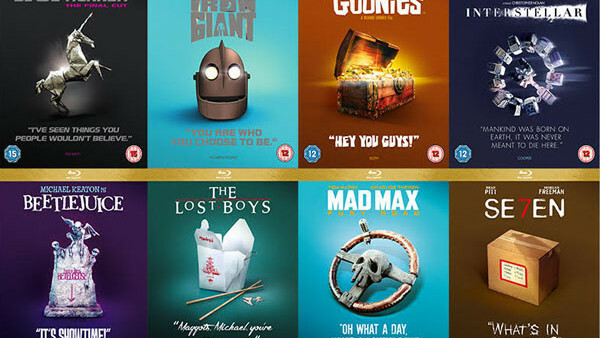 The Warner Bros. Iconic Moments collection bundle will include a copy of The Iron Giant, Blade Runner, Goonies, The Lost Boys, Seven, Interstellar, Beetlejuice and Mad Max Fury Road on Blu-ray™. The Warner Bros. Iconic Moments collection is available now. Which character does Sean Young play in Blade Runner? The Warner Bros. Iconic Moments collection is available now on DVD, Blu-ray™ and Digital Download, order yours here.